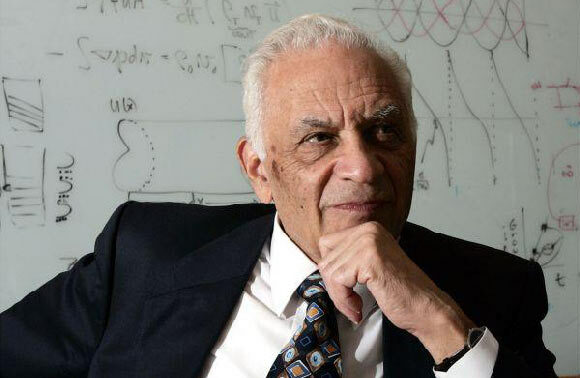 Dr. Amar Gopal Bose was a scientist, inventor, academic and entrepreneur who founded the Bose Corporation. His family was of Bengali Indian origin but his father, a revolutionary freedom fighter, fled to the United States to avoid persecution by the British Raj. His mother was an American national who worked as a school teacher. Bose grew up in Philadelphia and attended Abington Senior High School. During his childhood, he first displayed his keen ideas and astute business sense in a small after school home based venture to repair and manufacture electronics. For this he sought the help of his family and friends. Bose’s efforts impressed his father, who saved what he could and borrowed the rest in order to ensure that Bose received a thorough education. Subsequently, Bose enrolled at the Massachusetts Institute of Technology for a Bachelors degree in Electrical Engineering. He also went on to finish a Masters degree and a doctorate from MIT. During this time he spent a year in Netherlands working in the research labs at NV Philips Electronics and another year as a researcher in India, sponsored by the Fulbright scholarship. After graduation, he was offered a job as an assistant professor at MIT, something he had never considered doing before. However, he accepted and held the post of professor for 45 years. Bose had an innate love for sound and was a keen amateur violinist. During the 1950’s he developed an interest in enhancing speaker technology after experiencing the disappointing quality of sound from speakers that were back then considered top of the line. He wanted to recreate the sound of a concert hall in the comfort of one’s home. To this end he undertook extensive research and founded the Bose corporation for this purpose. To gather funds for his fledgling company, Bose turned to potential investors, including his former MIT thesis advisor, Dr. Y. W. Lee. He gathered a team of talented professionals and set out to revolutionize the sound industry. He held over two dozen patents in sound technology, many of which were in the field of loudspeaker design. Today, the Bose corporation employs approximately 9000 people worldwide and produces a wide variety of speakers and sound systems for personal as well as professional use. One of Bose’s revolutionary products includes the 901 Direct/Reflecting speaker system, the first speakers that adapted sound to the environment, rather than recreating sound as if operating in a vacuum. These raised the benchmark for speaker quality and remained the industry’s best selling speakers for over two decades. Till today, Bose speakers are synonymous with the best sound experience. Dr. Amar Bose was a highly regarded professor, both by his students and colleagues. He was always praised for being able to convey his thoughts clearly and simply and for being an unconventional but well liked teacher. His students liked him for his lively lectures as well as his generous nature. His exams were often untimed and are rumored to have gone on from 7pm to 5am on some occasions. He is also known to have given out ice cream during his exams. MIT gives out two awards in his honor for excellence in teaching – these are “The Bose Award for Excellence in Teaching” and the “Junior Bose Award”. Bose gave a majority of non-voting shares in the Bose Corporation to MIT with the purpose of furthering research. The shares were gifted on the condition that they can never be sold. Dr. Bose was married twice and had two children and three grandchildren. He died at the age of 83 at his home in Wayland, Massachusetts. He had repeatedly been on the list of Forbes’ Billionaires list. He received numerous awards and honors in his lifetime as well as after his death, including being an honorary member of the Audio Engineering Society, being listed at number 9 on the “MIT150 list” of the leading innovators and ideas generated at MIT and the “Beryllium Lifetime Achievement Award” awarded by the Association of Loudspeaker Manufacturing & Acoustics International in 2014.